With no apparent light source, Fog looks like a flaming planet, a mystical hovering globe. The glass is blasted on the inside, graduated smoothly from completely covering the bottom to disappearing up near the metal socket, where the light source is well hidden. Fog creates a new effect with classical materials and proven technology. 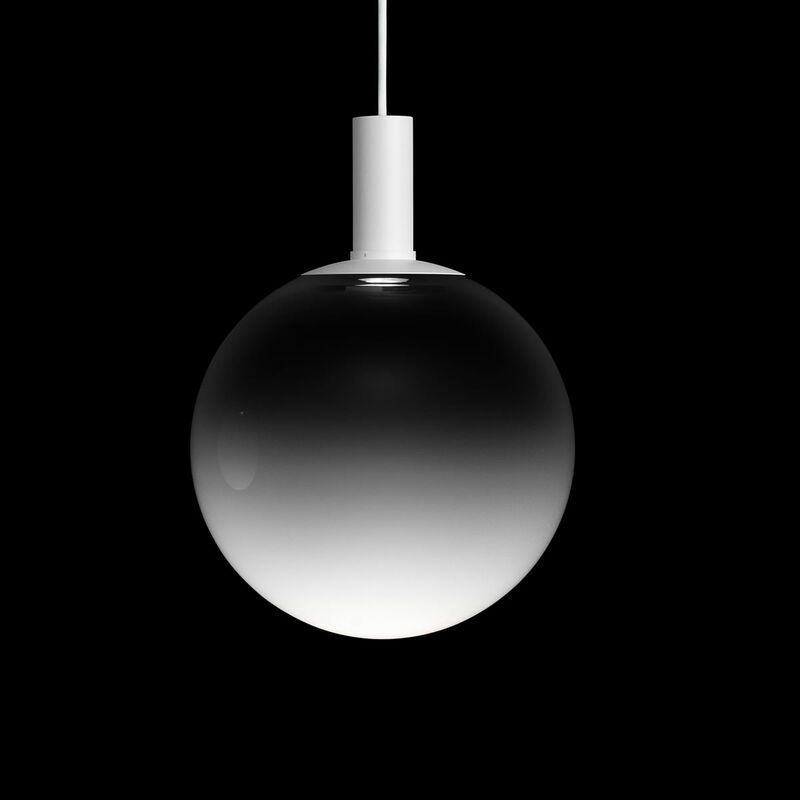 The light appears to shoot up from the bottom of the globe, emitting an ambient glow that rises like a magical fiery fog. Fittings are available in three colours, black, copper and white in three sizes, seen here in medium. Available in two wattages - 4W and 7W.